Book Review: George Washington by William Roscoe Thayer | What Would The Founders Think? This biography of Washington should not be overlooked. It covers a wealth of material in spite of its brevity. Author William Roscoe Thayer offers some interesting insights into Washington's character. 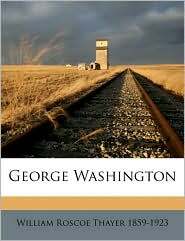 This book is a brief, but remarkably complete and accurate biography of Washington. It manages to evenly cover most of the main events of Washington’s life without diving too deeply, but still does so in an accomplished manner. Much of the material Thayer covers will be familiar to readers of McCullough’s 1776 and Chernow’s Alexander Hamilton . Thayer’s treatment is remarkably free of either hagiography or apology. Washington was unquestionably the “indispensable man” and larger than life. Thayer acknowledges this and does not apologize for his accurate portrayal of Washington’s contributions to the founding of the country. The tone is matter of fact. It is well-researched and footnoted throughout. The author cites biographies by John Marshall, Washington Irving, and Henry Cabot Lodge, as well as original sources. Written in 1922, it is refreshing to read and seemingly free of unsubstantiated opinion. In cases where the author is unsure of his ground, for instance with regard to the role Jefferson is likely to have played in setting up the polemicist Philip Freneau, Thayer addresses the reader directly and states as much. … I cannot rid myself of the suspicion that Jefferson furnished Philip Freneau, who came from New York to Philadelphia to edit the anti-Washington newspaper with much of his inspiration if not actual articles. To illustrate the character of Washington’s miscellaneous labors in addition to his usual household care of the force under him, I borrow a few items from his correspondence. 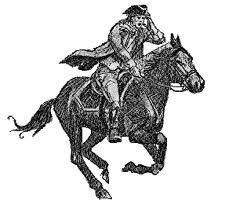 I borrow at random, the time being October, 1777, when the Commander-in-Chief is moving from place to place in northern New Jersey, watching the enemy and avoiding an engagement. A letter comes from Richard Henry Lee, evidently intended to sound Washington, in regard to the appointment of General Conway to a high command in the American army. Washington replies with corroding veracity. [Matuchin Hill, 17 October, 1777.] If there is any truth in the report that Congress hath appointed … Brigadier Conway a Major-general in this army, it will be as unfortunate a measure as ever was adopted. I may add, (and I think with truth) that it will give a fatal blow to the existence of the army. Upon so interesting a subject, I must speak plain. The duty I owe my country, the ardent desire I have to promote its true interests, and justice to individuals, requires this of me. General Conway’s merit, then, as an officer, and his importance in this army, exists more in his imagination, than in reality. For it is a maxim with him, to leave no service of his own untold, nor to want anything, which is to be obtained by importunity. It does not appear that Lee fished for letters of introduction for himself or any of his friends after this experiment. He needed no further proof that George Washington had the art of sending complete answers. Thayer’s writing is honest and insightful. His biography is a good introduction to Washington and should inspire the reader to delve more deeply into events that are only covered superficially. And, since it is in the public domain, it is available for free!